Leaving Istanbul was just as much of a scramble. A metro followed by a walk, bus, bus back in the opposite direction to correct my mistake, a minor breakdown and then finally a shuttle. Relieved to make it I boarded the plane to Israel and we flew across turkey and the sea to Tel Aviv. It was slow getting through border control with many questions about why you are visiting and how you will get about, but as I had been forewarned, nothing too unexpected. The train pulled into the city showing the skyline of skyscrapers on the coast but once off the train the area around the bus station was dirtier than I had expected. A modern, cosmopolitan city but it seemed more run down, stupidly maybe more middle eastern than I had anticipated. With some help I found my bus and hostel and it was once again a warm welcome and a beautiful balcony that made the pressure of the challenging journey evaporate. The currency is New Israeli Shekels, about 5.5NIS to the £ but with a pretty comparable cost of living to the UK. 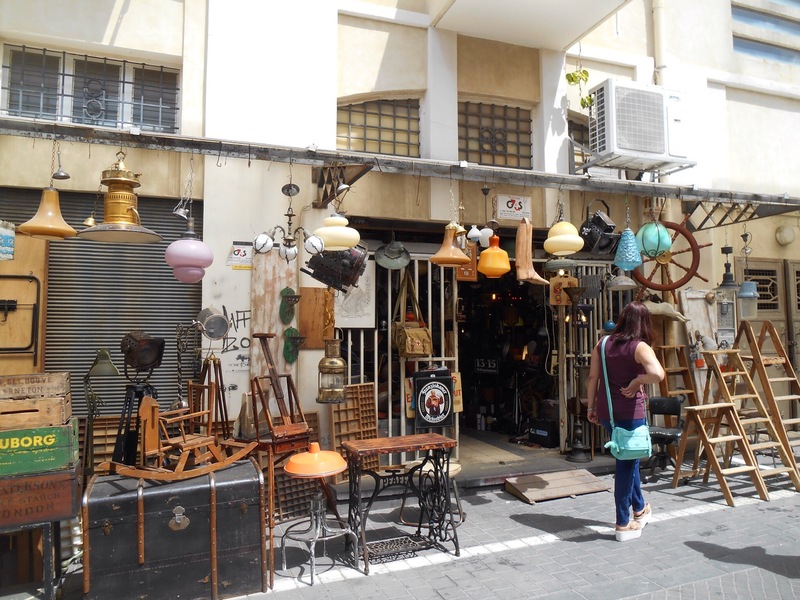 It was explained to me that I was staying in Florentine district, close to the old town of Jaffa and that this was the second most hipster district in the world. 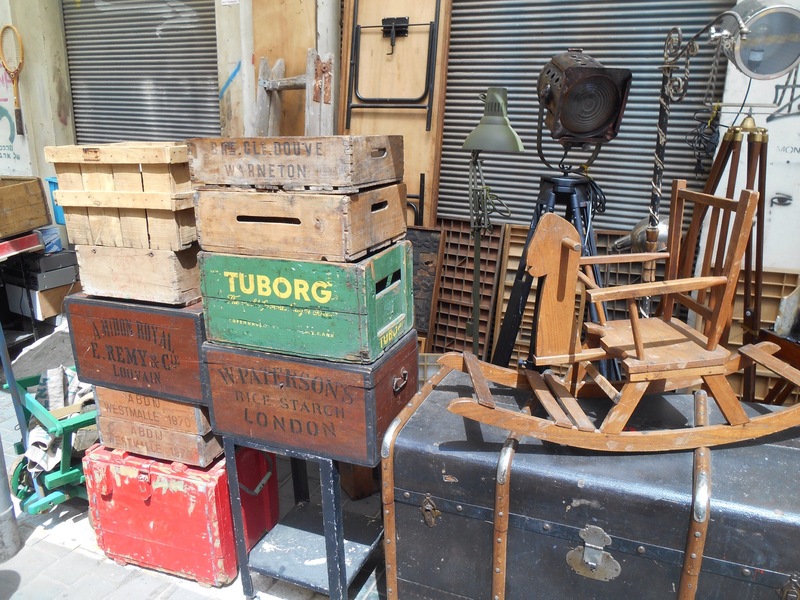 The only place where graffiti is allowed in Tel Aviv, however piles of junk collect on the street a sort of sharing and recycling, it was ‘hipster’ in so far as it was different but without any of the pretension that sometimes accompanies drinking from jam jars. I had some food in one of the street cafes and then spent much of the evening chatting to the other friendly guests on the balcony overlooking the city. The spring time air was cool but pleasant. At 11pm it was music off and so it was either to bed or out. I joined the group to the Booze and Blues night a short walk away. In an underground smokey club we watched several blues bands with so much enthusiasm and energy. They had incredible voices and powerful singing considering it was their second language. 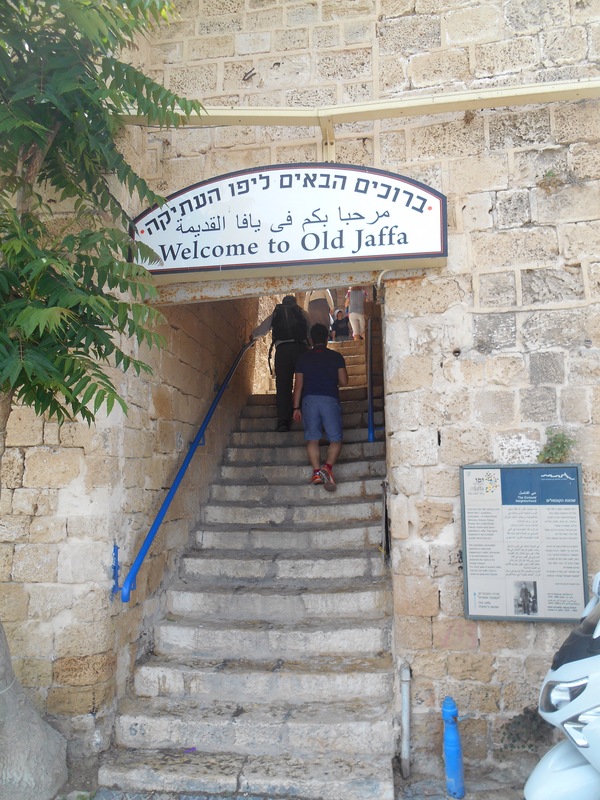 In the morning I met a walking tour at the clock tower in Jaffa, the old city and Arab port. The clock tower was put there in 1906 to commemorate 25 years of the Ottoman Sultan Abd al-Hamid II. 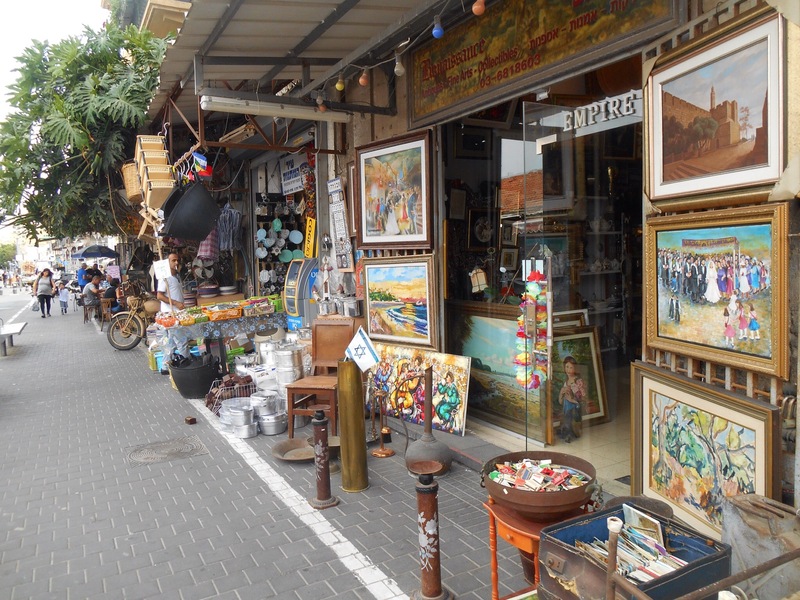 A city with 4000 years of roots, just along the beach from bustling Tel Aviv was interesting to explore. It was mentioned in the bible twice, once as the port where Jonah left from before he was tossed overboard and eaten by a giant fish. In 1806 the sultan built a protective wall around the city to prevent it from further attacks. This was a direct response to 1799 when Napoleon landed in Jaffa, captured the town and murdered 4000 civilians including women and children, before sailing up the coast to Acre where he was defeated. 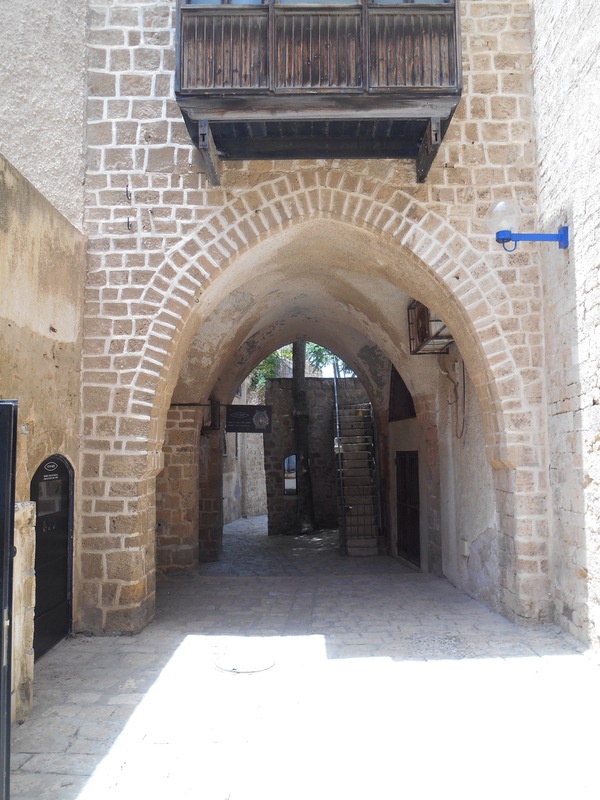 The old city walls were destroyed by the British in the 1900’s but are marked out on the pavement and we took the route of new traders entering the city through Jerusalem gate. Here you entered through one archway and then were cornered to turn the other one, a mark of defence of the city. Once through money changers and food sellers would have worked together to get custom. Out near the Jaffa port you could see several rocks in the water. The myth surrounding these was that the King insulted Poseidon by saying that their daughter, Andromeda was the most beautiful girl that had ever lived. When Poseidon was angry he cast storms towards the port and the desperate and scared people sought an oracle who told them they must sacrifice their daughter naked to the sea monster. Upon doing so she was saved by Persius who bore Medusas head and turned the sea monster to stone. 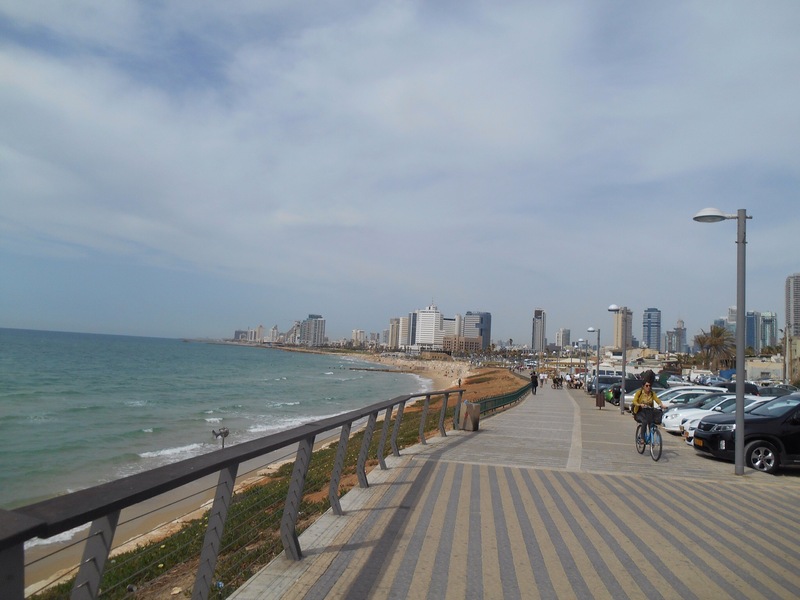 Although it was once a successful port, after squabbles over Jewish use of the port by the Arabs, the British approved a building of a new port up the coast, and thus Tel Aviv was born, a new city where only sand had laid before. We walked up into the old city further and the buildings and courtyards felt very Mediterranean with beautiful cobbled pathways filled with wineries and art shops. This has been the case since the 70’s where the government installed artists to improve the areas safety and interest and now to buy in this highly desirable area you have to be part of the artists club. 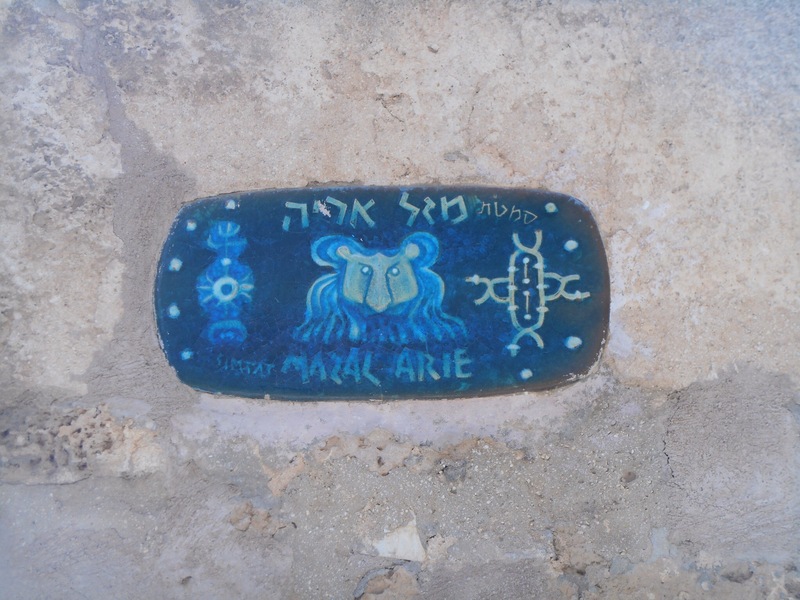 All the streets here are named after the zodiac signs, an piece of culture from the Turkish influence which has paralleled the religious significance of this place. 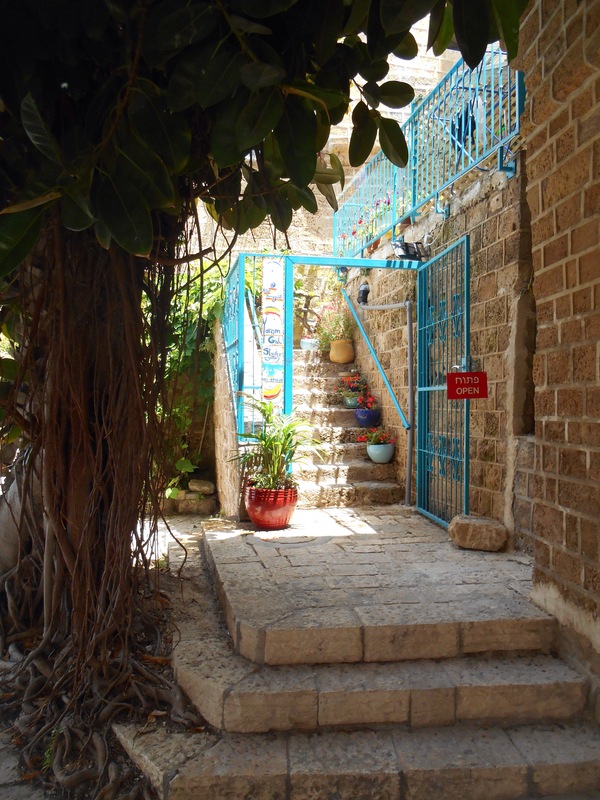 In the middle of a courtyard there was a long term art instillation, the jaffa tree. Floating from the ground, a natural tree grows from an artificial seed demonstrating how people have become detached from their roots. 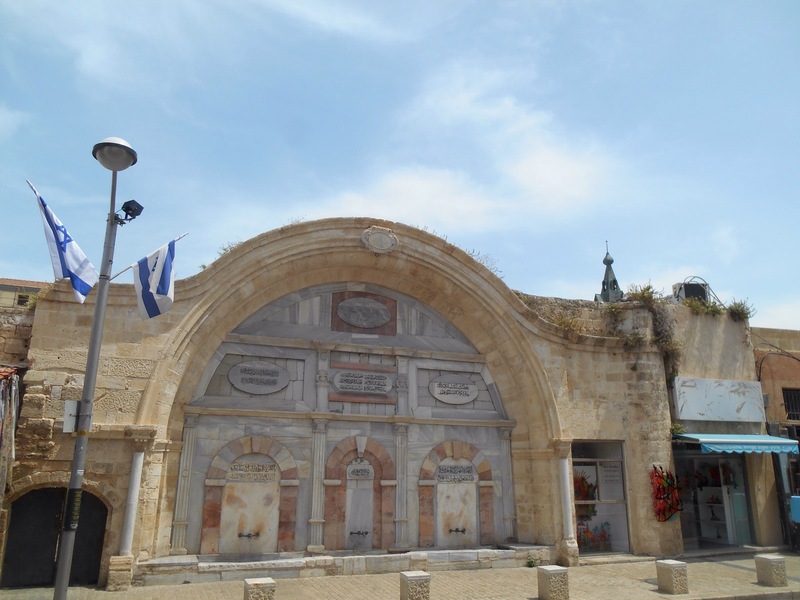 In the old city was the house of the disciple, Simon the tanner. Interestingly a tanners wife could divorce her husband at any time because of the dreadful smell. The long time residents of the house also run the cities lighthouse. It was fascinating to walk around a beautiful, historic city but which has this rich religious significance too. The view up the coast to Tel Aviv from here was beautiful. In the park nearby we saw a real Tel, an area where history is buried in layers as new conquerors destroy and bury the precedent buildings. 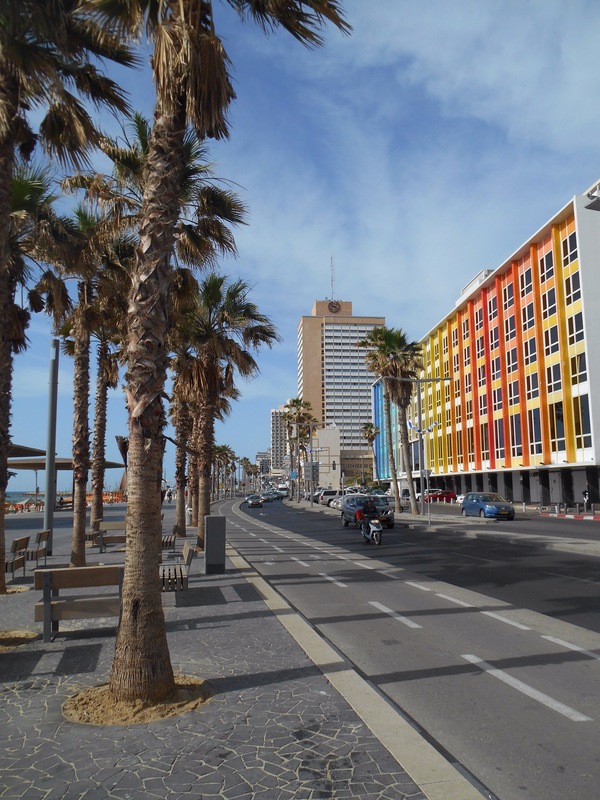 Tel Aviv is not a Tel, a new city, but translates from Hebrew as Old New Land. 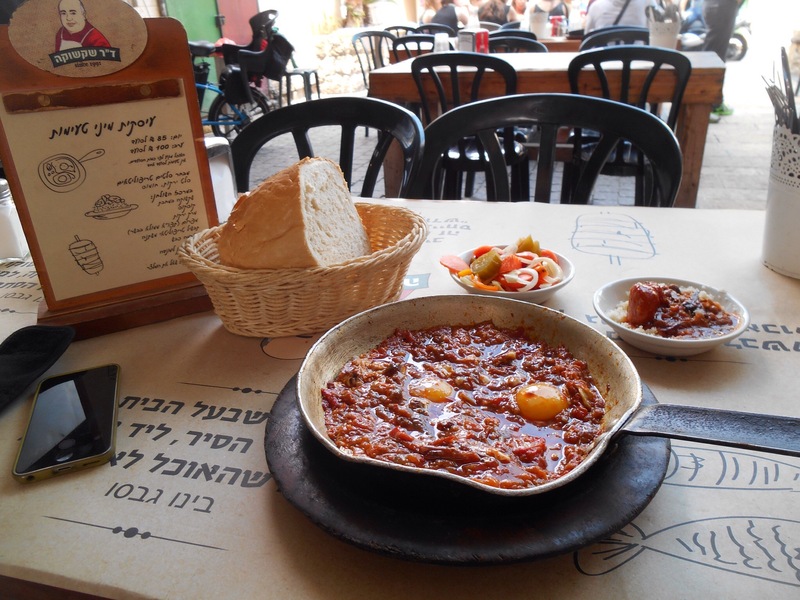 After the tour I made for Dr Shakshuka, a basic restaurant selling a traditional Israeli dish, Shakshuka, made from tomatoes and vegetables and eggs in an iron skillet. They served it was a big loaf of fresh bread and some pickles, and sitting in the courtyard for a long lunch break, I finished it all. 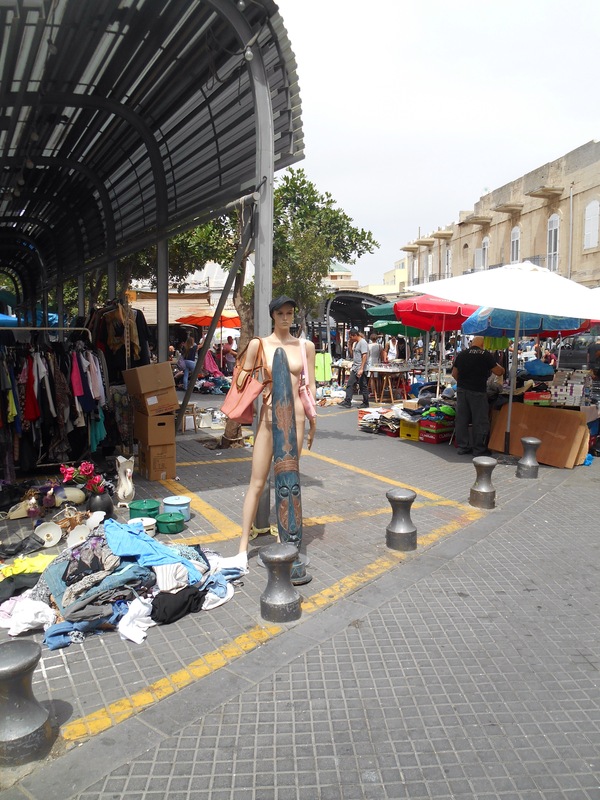 Jaffa was a fascinating town to peruse with open flea markets selling everything from parts of taps to second hand clothes all laid out on tarps. 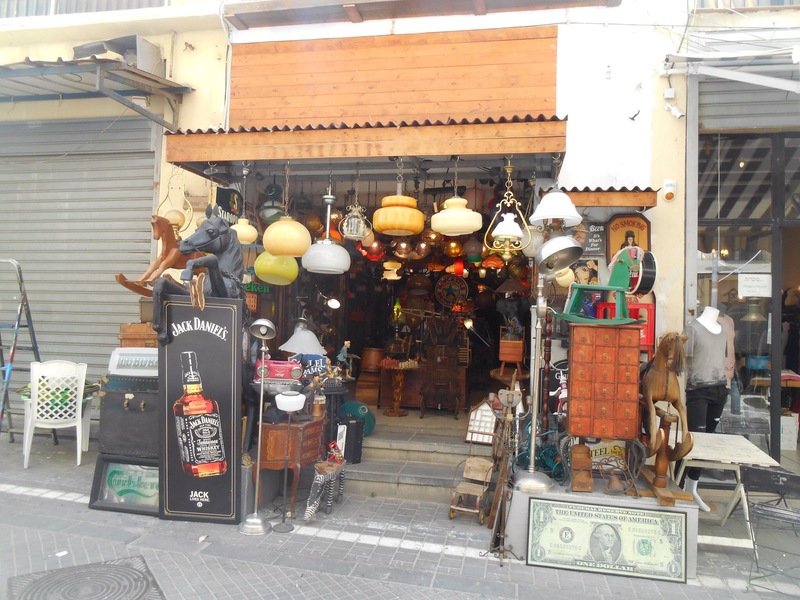 There was also incredible shops which appeared crammed full like a hoarders cupboard but usually with only a few types of item, like lamps or ceramics or wooden furniture, a real eclectic few streets. I walked up the promenade up the long stretch of coast on the Mediterranean Sea, stopping to paddle my feet in the water and rest in the sun. Every lamppost and surface was strung with Israeli flags due to upcoming Independence Day which would commemorate Israel’s 68th year as a nation. Once in the midst of skyscrapers, the wide promenade felt like I imagine LA would feel, runners and bladers passing. 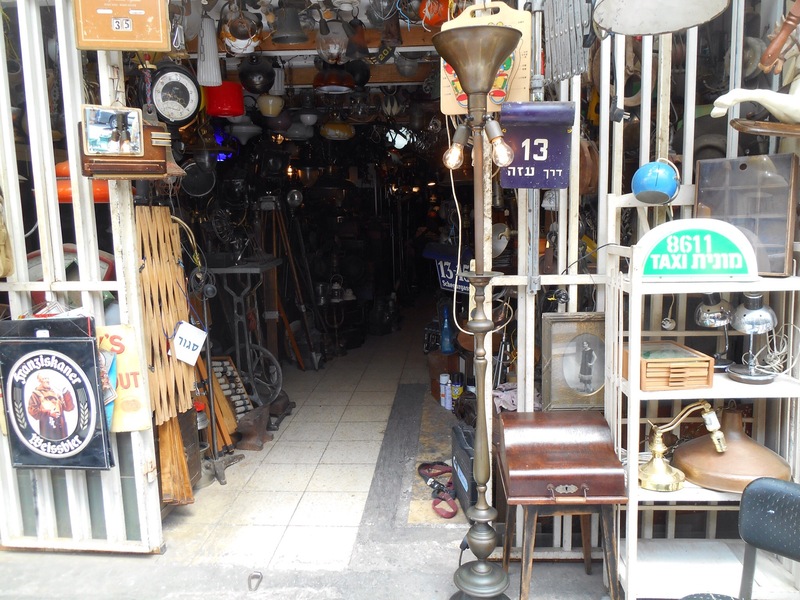 I turned into the town and made my way along the streets filled with shops and fresh fruit bars to Dizengoff square. Dissecting the city again I made for Rothschild boulevard, a wide open street which runs through the city, home to the grandest houses, the unesco protected architecture of the White City, and prime people watching spot. As people walked, cycled, skated and gossiped along the boulevard, I sat an open air coffee spot and did what I was informed was the Tel Aviv past time, people watching. Just further along was the Independence building where Israel was declared a state in 1948. David Ben-Gurion made the announcement of the creation of the state of Israel 8 hours before the Birtish Mandate on Palestine was about to end. This historic place used to be home to Meir Dizengoff who went on to become the cities first mayor. That evening, once again I spent time getting to know other travellers on the balcony over drinks and card games. By the time 11 o clock came we headed out to a gay bar nearby where cheap drinks and cheesy music was the call of the night and the walk home snack of choice, Israeli style, not a greasy meal but a falafel sandwich of some sort. Israel has a lot of draws, religion being a main reason for people to visit. 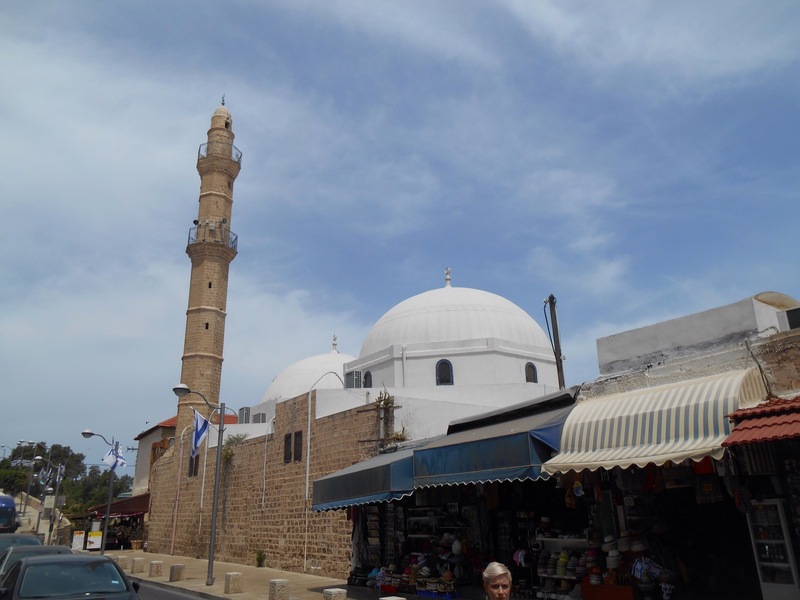 Jews making allyah or a pilgrimage to their holy land, Christians visiting the important sites of their faiths, however in a difficult situation with Palestine relations, instability in the Middle East, many peoples perceptions of Israel is one of fear or danger. For this reason, I feel I have been asked more than any other country, ‘Why Israel?’ Some interested, what religion are you, why would you go? Many people themselves also travelling here with their own pressing reasons, want to know why you chose it, and so I have come to also take this as my accidental quest asking others, why are you here? 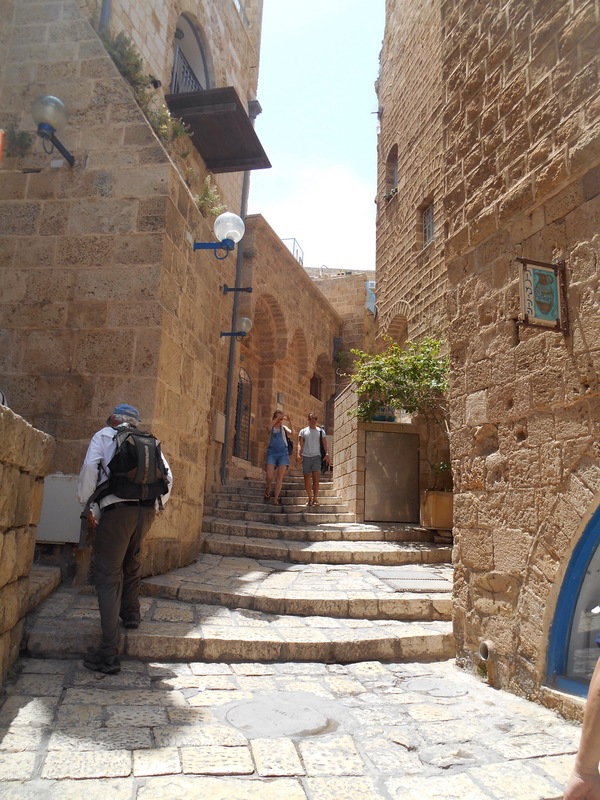 To answer, my interest was first stirred by mum and Ian’s trip in 2015, Ian’s years living in Israel and their faith and interest in it being such an important country. For me, it’s interesting historical and political situation makes me want to know more about Israel then, and now. 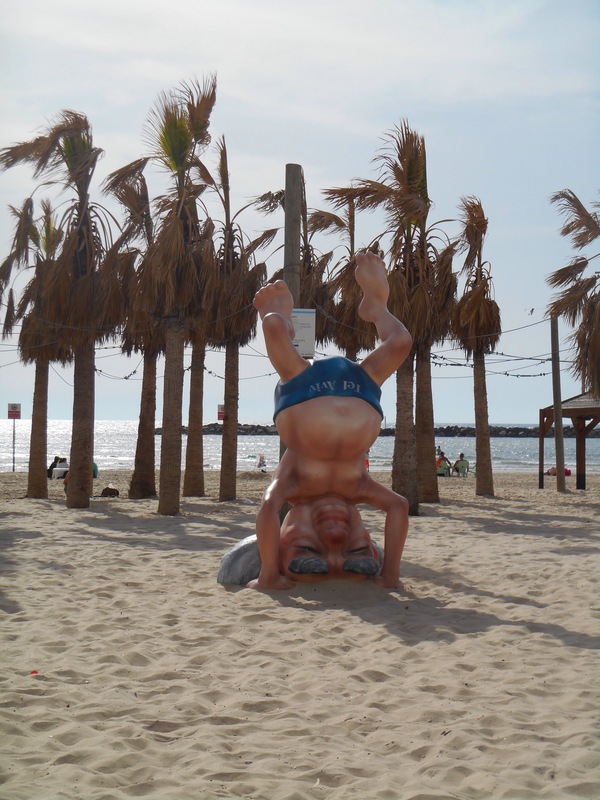 Certainly Tel Aviv, a vibrant city boasting gay capital of the world, with a beautiful beach proves its also possible to also indulge as a tourist on a more light level as well, and when you get here, you realise they are pretty welcoming people!